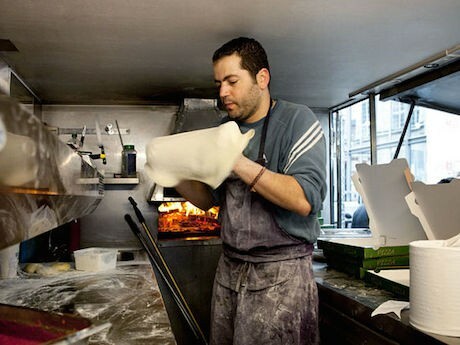 Starting just a few years ago, Paris quietly stepped into the food truck revolution. Camion qui Fume (the smoking truck) serving California style hamburgers was the camion that started it all. People began queuing for hours for the chance at having a bite of a juicy “American” style burger. 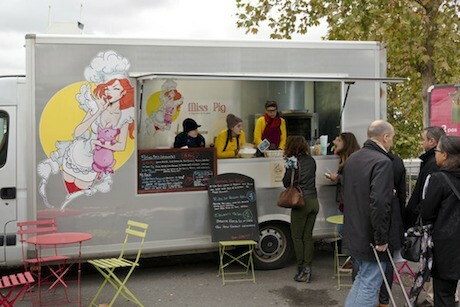 Soon enterprising expats and French alike began to set up their own Paris food trucks offering Parisians the chance to eat standing up (a completely un-French thing to do) and sample interesting unique bites at reasonable prices. 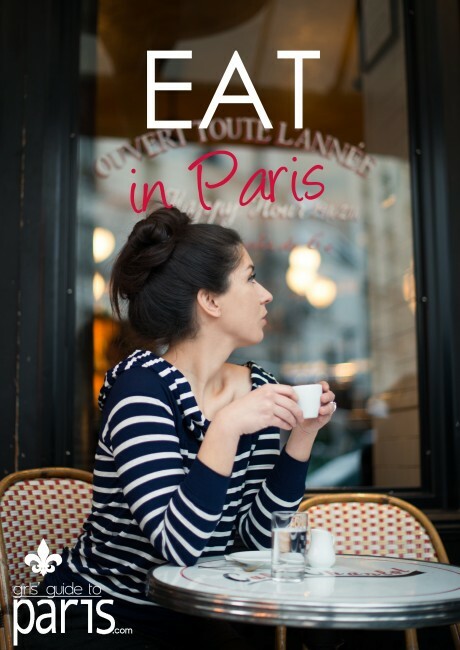 This post is an excerpt from our newly released EAT Paris e-guidebook that we’ve been working on for what seems like years. But you can download it – today! 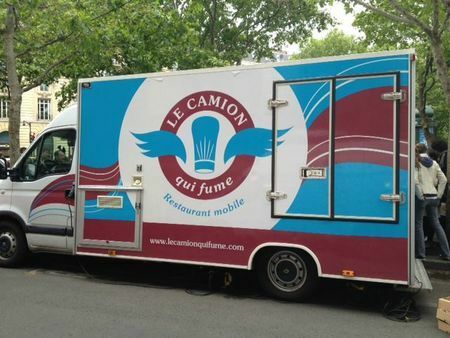 The truck that started it all, Camion qui Fume. Find food truck locations daily at http://www.pouet-pouet.com or on their own website or facebook page listed below. Bugelski dishes out pastrami, roast beef and turkey sandwiches on a bagel. Sandwiches for the gal on the run. Burgers and tacos are on the menu at the Marché Raspail. 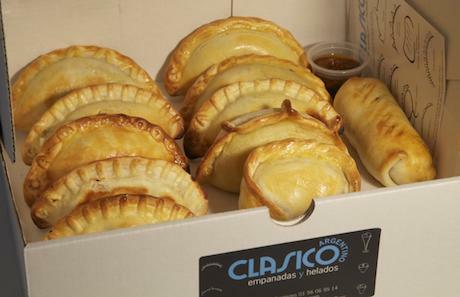 Delicious empanadas served up by the Classico Argentino team. Eat My Truck does gourmet hot dogs. Perfect pizza stationed outside the art center in the 19th arrondissement. 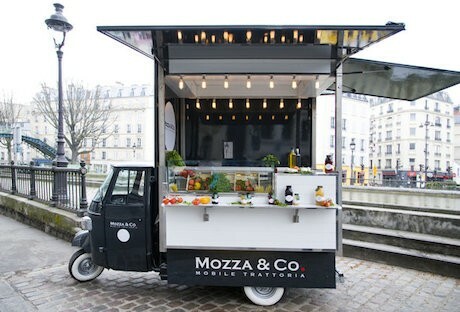 The Paris food truck that started it all. Stand in line for a true American burger. Head for farm to table cuisine, truck side. Miss Pig focuses on pork, ribs, bbq and the like. 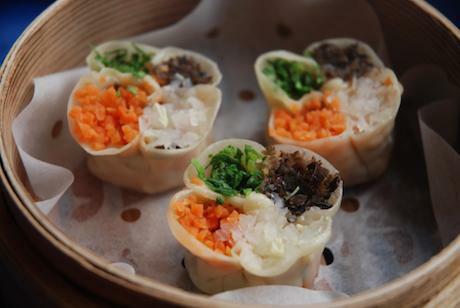 A scrumptious dim sum truck. Two Girls, One Truck wins the best name awards and serves up gourmet cuisine. 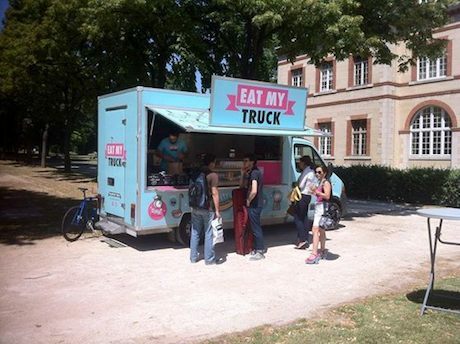 Eat my Truck, another fabulous name! Note: EAT Paris is available here for only $10.95. The must-have source that you can save on your ipad or laptop for easy access on your next trip to Paris.